1) Not related to this thread, keep it out. 2) December 7th, as you seem to not be able to read other threads. I'll likely submit one after school today. It's interesting he's requesting them. I'd love to see what he does with them! Too bad you aren't having something like this on Xbox, got an awesome base in the Lost River, biggest one i ever built, i will tell my friend about this though since he has it on PC. @Obraxis: How are you gentlemen!! Finna be in December, finally after so damn long, now watch the DLC take 5 years to get on console. "...for the slickest underwater abodes on planet 4547B." 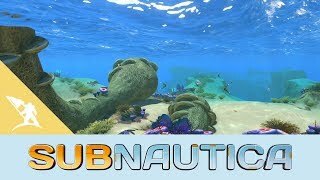 Last time I checked, Subnautica took place on Planet 4546B. Does Obraxis know something we don't? You can also build one, as many have been doing. I built mine real quick and submitted it with an imgur album, coordinates, and the save file. My base isn’t huge or over the top. It looks nice gets things done without being too intrusive on the natural habitat. Recently I added an ACU so now it’s fully self sustaining. I’m still gonna submit it cause it’s something I’m proud of because of how I designed it! What if we don't Twitter? He's accepting them on Discord too. ...for what? This is about submitting bases? New rule, all submitted bases must be on a budget of only 20 titanium. Bases are expensive this time of year, you know. Are bases still being accepted? After realising that my save-game had been lost during a complete OS update, I've taken some time to recreate/improve my previous base, and I think it's reached a very share-worthy point of completion. Alright, whose bases are these? Could it be? Another DLC set on the planet right next to 4546B?